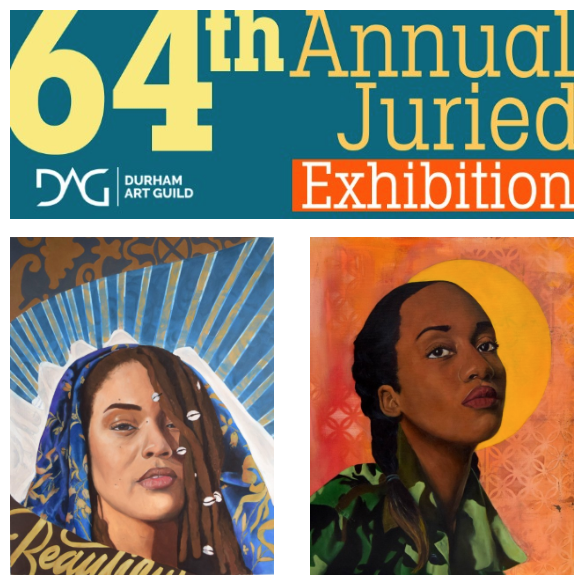 The Durham Art Guild presents the 64th Annual Juried Exhibition. This is the Guild’s longest-running, largest, and most impressive annual exhibition featuring the work of over 40 regional artists working in a variety of mediums and styles. Join us for the opening public reception during 3rd Friday Durham on August 17 from 6-9pm. There will be a secondary reception on September 21 from 6-8pm during September 3rd Friday as well. This exhibition is on view in SunTrust Gallery from August 17 – October 13, 2018. This year’s artwork is selected by Leslie Mounaime, Gallery Director of the Target Gallery at the Torpedo Factory Art Center in Alexandria, VA.